The food reward hypothesis of obesity states that the reward and palatability value of food influence body fatness, and excess reward/palatability can promote body fat accumulation. What this means to me is that at equal calories some foods provide greater flavor reward and these tend to be the foods we over consume. When this is done on a regular basis, we find ourselves in caloric surplus and we gain weight. A simple example to explain food reward would be the potato. A plain baked potato has less food reward than potato chips. The potato chip has been engineered to provide a taste combination that hits our reward center stronger than the baked potato and provides less satiety. Which is more filling? 1 medium baked potato + 1 tablespoon of butter or 1.3 oz of potato chips. They have both have ~210 calories. I say the potato. The book The End of Overeating convinced me that food engineers were capable of creating foods so rewarding that limiting our intake of these foods can be challenging. How much a factor this plays is up for debate and likely varies from individual to individual. Enough background into food reward. I was thinking this week about how in the Internet age there is a near endless supply of information on what causes weight gain and what reverses it. Blogs, YouTube videos, thousands of books on Amazon and forums. Yet despite all this information, there seems little agreement. Everything is so polarized. This left me with a question, which was: How did we get lean before the Internet? Now I am the last person to seek individual outliers and then extrapolate back what works, but I do think if we look at the early years of bodybuilding culture it can be instructive, especially in the context of food reward. I don’t recall where I heard it or read it, but I learned from a fitness professional that many athletes that keep and maintain low body fat levels eat the same basic foods over and over. Their diet has lower variety and they get a large percent of their calories by eating the same staples. And those staples tended to be rather bland. I decided to do some research and discover what was the diet old school bodybuilders used to achieve low body fat levels. I am aware there was steroid usage back then, but it was far less than the levels used today. Ric Drasen posted a typical day of food intake in his article Eating For The Bodybuilding Physique of the 70s. Breakfast – Beef patty and 3 eggs, cottage cheese and vitamins. Lunch – Chicken or Fish, or Beef patty, small salad, option eggs and cottage cheese. Or Tuna. Mid afternoon snack – Can of Tuna or chicken breasts or protein drink. Dinner -Steak, or Chicken with small salad, cottage cheese and sugar free jello and vegetables. He states the 1970s bodybuilding diet was high in protein and low in carbs. Another article titled Old-school Bodybuilding: Carbs Make a Comeback by Dan Gwartney, M.D. disagrees on when the low-carb trend in bodybuilding began, but agrees that the diets consisted of eating the same basic boring foods. Low food reward. …it is pretty simple to write down the circa 1980 bodybuilding diet: breakfast— oatmeal, eggs, and skim milk; lunch— two turkey and swiss cheese sandwiches on whole-wheat bread with mustard; pre-workout— applesauce and two chicken breasts; dinner— steamed rice, two cans of tuna packed in water, and a can of vegetables mixed in a bowl; pre-bedtime— one chicken breast and celery with peanut butter. The article Old Time Strongman Diets by Matthew Chan has some more support for low food reward diets. Hackenschmidt did not believe in seasoning his food, and recommended avoiding sour dishes and sugar, unless from a natural source like fruit. In matters of the table, the popular habit appears to be, to get the best that money can buy, and have lots of it; forgetting that the dearer meats are often not the most nourishing, and that the plainer foods are the wholesomest, and, where moderately partaken of, are easiest of digestion, as well as the most strengthening. 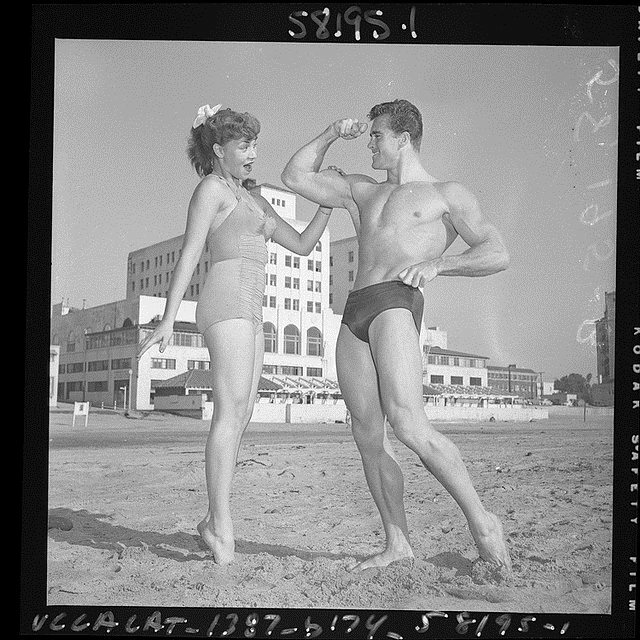 Long before the Internet, old school bodybuilders figured out how to get lean. They ate basic staples. In the 1970s and before there was a bias towards more carbs. In the 1980s, the shift went towards lower carbs with a cheat day. In both cases you had diets that would be considered low food reward. Just like with every other theory of obesity, the food reward hypothesis has its critics. To me it has so much overlap with other schools of thought that I think it has validity. Although I can speculate that the weight I lost a few years was due to lower food reward, I don’t know for certain. I do know when I was under weight, I used the food reward of ice cream to stimulate my appetite to gain weight. I also used a version of flavor deconditioning prior to going an entire month without coffee. And then there was my almond vs almond butter test. I will be testing food reward theory for myself. More on that in a future post. Have you experimented with food reward theory in your diet? Hey, thanks for the ping back! And great article as well. The more I learn about nutrition vs. caloric intake the more sense guys like Sandow make to me. And, the more upset I am with all of the false information we have been free over the years, likely to sell products or push a new trend. Anyhow, nice site. I look forward to reading more! @Mike – Thanks. I really like the look of your site. Will be going through it deeper. This is the underlying basis for Seth Roberts’ Shangri-La diet. He suggested, and others agree, that it’s best to consume flavor-free EVOO on an empty stomach. This reconditions the food/mind connection. Or (and this is my preferred method) use nose clips and eat whatever you want. Removing sense of smell changes everything. And weight loss follows. @Jim – I agree. The beauty of food reward theory is that if it ends up being wrong, it won’t be too wrong since it does so much overlapping with other nutritional advice. Kind of like how I abstain from wheat. Is it Gluten? Is it Fodmaps? Is it something else? Beats me. I get the benefits of dropping that food without fully understanding the cause. @David – I used a variation of flavor deconditioning from the Shangri-La to go a month without coffee. Thank you for reminding me. Seth did recommend using Extra Light Olive Oil (ELOO) over EVOO. Both fructans and gluten can be problematic and the science is constient in reporting that. The one study that said NCGS might not exist in the abstract actually said in the study itself that 8% of their subjects had NCGS for gut/digestive issues and many more were becoming depressed. A follow up study said the depression was due to gluten. The scientist made a statement that gluten was “causative” for depression so no one would misrepresent it since the media had a field day with the results of his 1st study. @Sanjay – I strongly suspect you are right, but I don’t know the science. Too many people in nutrition are looking at this issue incorrectly. I called out Kamal Patel in this post for failing to follow the logic in his own article which claims gluten is fine. His publisher left me a “FUD” in the comments. FUD means Fear, Uncertainty, Doubt. I agree with the Uncertainty and Doubt, but not the Fear. The fact the “gluten is fine” group is so certain to me is more alarming. They showed up on a crime scene and can’t find any weapons or fingerprints, so now they are questioning if a crime ever took place. I don’t wish to influence anyone into giving up donuts, pizza & beer – those were key ingredients of my college years and into my 30’s. But for those who are curious, the study that confused bloggers on gluten and FODMAPs was carried about by Dr. Peter Gibson at the University of Mohash. He authored the definitive book on FODMAPs too. His work was misinterpreted by the media. He made an editorial published to his fellow Scientists stating gluten was “causative” for the symptoms of depression. @Sanjay – Thanks for sharing the links. Yeah at point I expect the wheat/gluten apologists will be forced to reassess their views. Awesome read. The training in the 70’s was crazy and the diet wasn’t too clean but man did they get big. Gotta eat big to get big though. I know a good related read to this topic at http://web.archive.org/web/20160221131259/http://newbodybuildingworkouts.com:80/old-school-bodybuilding-workouts-70s-secrets-history/ if anyone is interested.